Australian Journal Of Chemistry - Philippine distributor of magazines, books, journals, etc. Australian Journal of Chemistry - an International Journal for Chemical Science publishes research papers from all fields of chemical science. 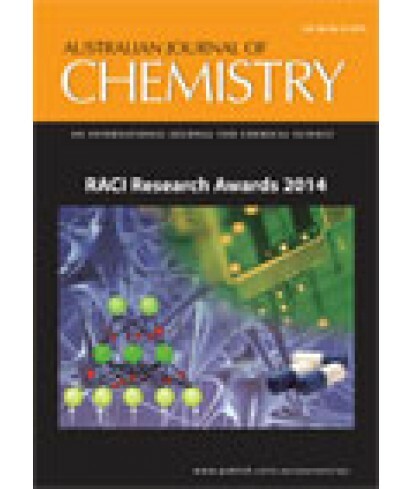 Papers that are multidisciplinary or address new or emerging areas of chemistry are particularly encouraged. Thus, the scope is dynamic. It includes (but is not limited to) synthesis, structure, new materials, macromolecules and polymers, supramolecular chemistry, analytical and environmental chemistry, natural products, biological and medicinal chemistry, nanotechnology, and surface chemistry.